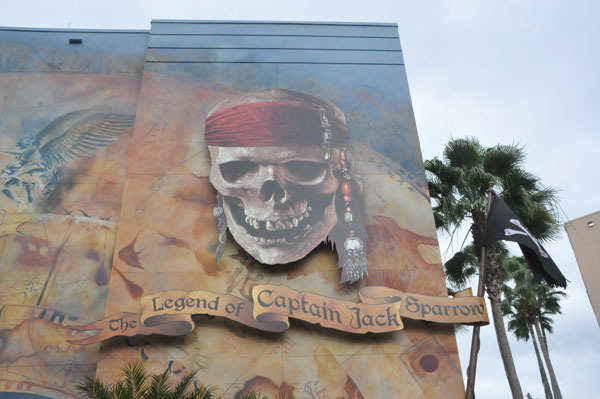 I had the chance today to visit The Legend of Captain Jack Sparrow that is in soft previews at Disney’s Hollywood Studios at Walt Disney World. 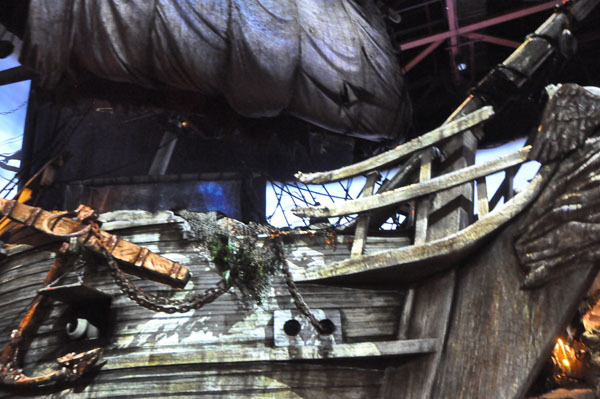 This adventure will open December 6, 2012 on Soundstage 4. Journey into Narnia used to be in this location next to One Man’s Dream. This is a walk through experience. 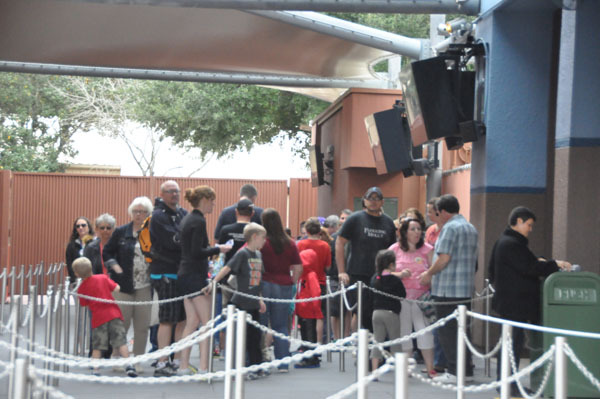 There was quite a line when I was there today and I overheard the cast member saying they open the doors every 8 minutes and they take 50 people inside, so be prepared for a wait. 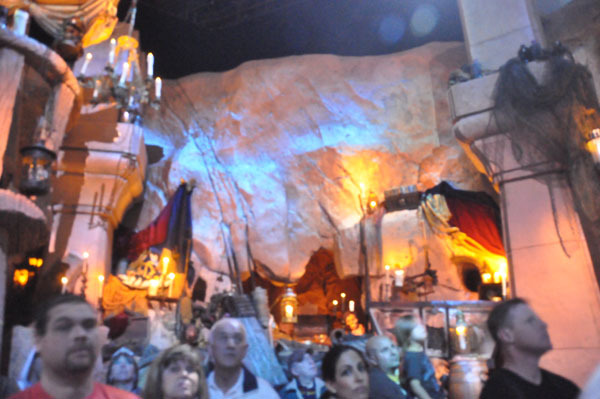 If you want to view the screen you should stand more to the right as you enter the doors to the adventure. 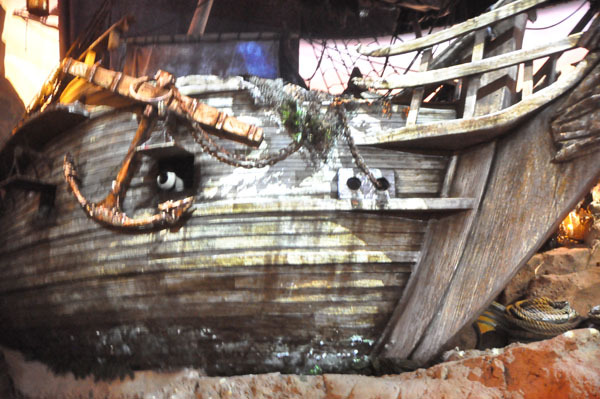 If you stand to the left your view will be blocked by the pirate ship. The best place to stand is in the center of the room. 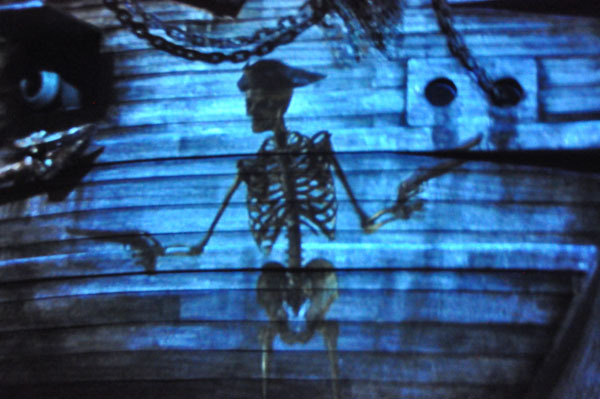 You are asked if you would like to become a pirate. 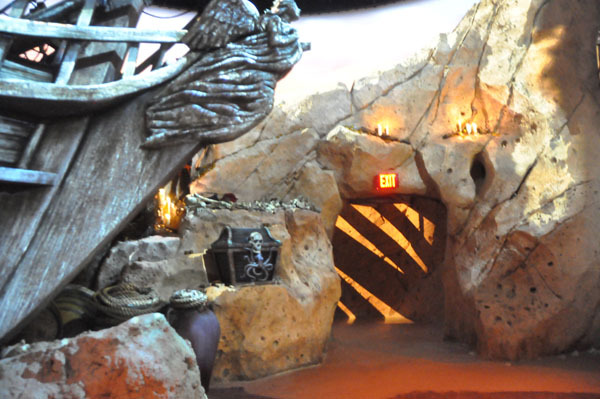 You then experience several things to see if you have what it takes to join Captain Jack and his crew.You get to experience an eerie treasure cove and engage in a ship to ship battle. 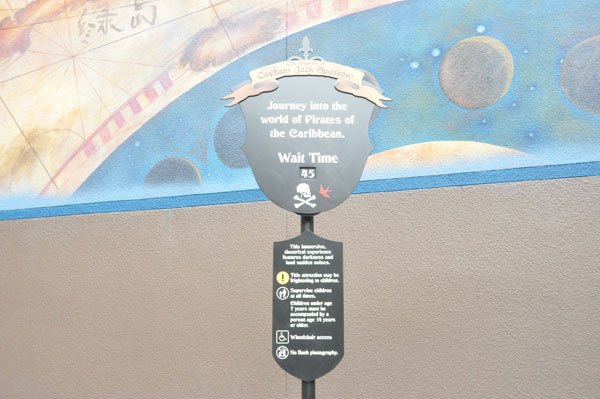 You can take the pirate pledge at the end. The effects were great but this is one of those adventures I wouldn’t do every time I came to Disney’s Hollywood Studios. 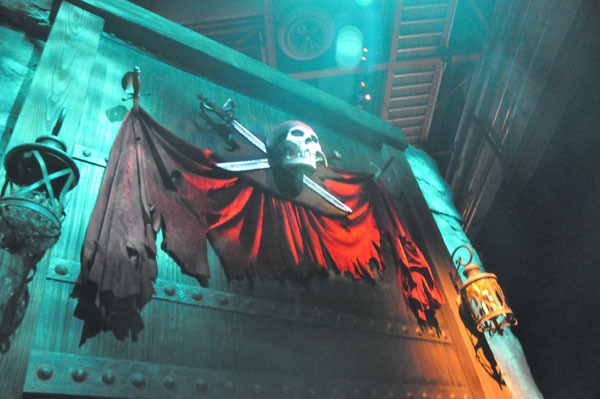 If you are a Pirates of the Caribbean fan you will enjoy the adventure but I came away wanting more. 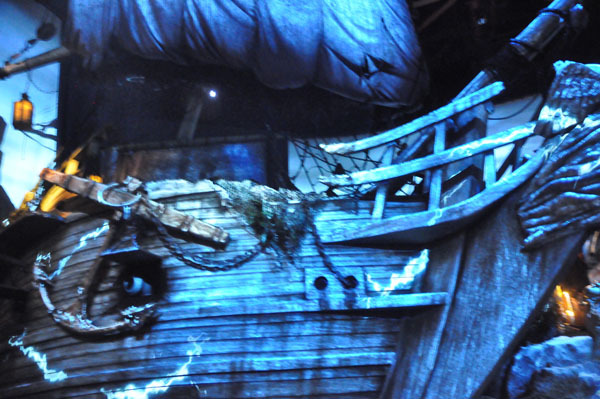 It reminded me of the former adventure located here, Journey into Narnia. I will be interested to hear what everyone else that visits thinks of this new adventure.